An exceptional value for a quality collection. Originally developed by Ward's®, over the years the Washington School Collection has become one of the most widely accepted secondary-school earth science teaching aids. 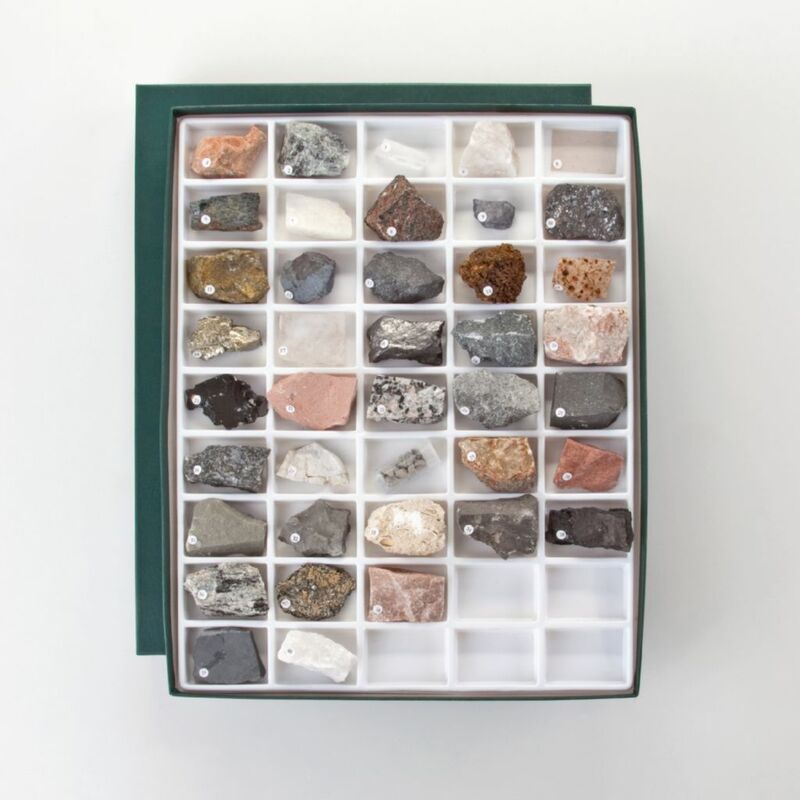 Carefully selected, high-quality rock and mineral samples provide students with an excellent introduction to earth materials and their characteristics. A matching set of testing chips, ideal for quizzing students on specimen identification, is also included. The set is housed in a compartmented collection box, and descriptions of each specimen are printed on a label in the lid of the box. 40 numbered samples, 1×2" 40 matching testing chips, 1/2". 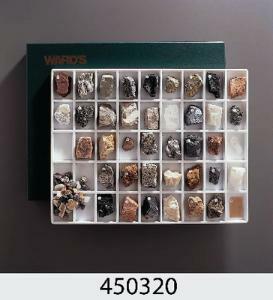 Ordering information: Mineral contents include Rock-Forming (calcite, garnet, hornblende, microcline, milky quartz, muscovite, plagioclase feldspar, quartz [rock crystal]), Metallic Ore (bauxite, chalcopyrite, galena, hematite, limonite, magnetite, sphalerite), and Industrial (graphite, gypsum, halite, pyrite, talc). Rock contents include Igneous (basalt, gabbro, granite, obsidian, rhyolite, syenite), Sedimentary (argillaceous sandstone, bituminous coal, chert, conglomerate, dolomitic limestone, gravel, red sandstone, shale, shell limestone), and Metamorphic (gneiss, marble, quartzite, schist, slate).